With a weekend of dinner parties ahead of us, what better way to spend an early evening than flicking through a plethora of new cookbooks for some heavenly inspiration. Here at The Amazing Blog, we want to share with you some of the most mouth watering new cookbooks that have just launched. Honey & Co is a tiny restaurant hidden in the backstreets of Central London. It lures you in with their talent of baked goodies. Bringing food from the Middle East, husband and wife team Sarit Packer and Itamar Srulovich founded Honey & Co. which specialises in the most yummy selection cakes and desserts. However, now you don’t even need to leave the comfort of your home to get these delicious desserts, as Sarit and Itamar have launched Honey & Co cookbook. With recipes such a spiced carrot and walnut cake, raspberry and rose kadaif nests and apricot and elderflower jam just to name a few. Our favourite has to be cranberry, orange and almond caramel cookies. A simple and easy recipe and which had everyones taste buds going as soon as we opened the oven. Honey & Co: The Baking Book by Sarit Packer and Itamar Srulovich is published by Saltyard Books in £25 hardback. Alternatively you can buy online here from The Book People. Also available as an eBook. As fruit goes with seasons so does cheese and reading through the pages of A Year in Cheese cookbook by Alex and Leo Guarneri we discovered so many things we didn’t know about this amazing source of calcium, we were left amazed! Alex and Leo take us on a journey through the seasons, explaining little gems like why you can’t have a proper goat’s curd in the Winter. Their eye catching pictures will help you to spring from this damp February into a lustrous Summer with the freshness of their mozzarella and ricotta recipes. And when it gets colder and all you want is to stay at home having dinner with your closest friends, the gruyere and reblochon menu suggestions will be the perfect choice. The recipes are so easy to follow that once you finished you just can't wait to start cooking again! If you want to explore the world of cheese then look no further. The book is available on White Stuff here for £20. The finalist contestant Luis Troyano from The Great British Bake Off in 2014, decided to share his culinary knowledge publishing his very own book; Bake it Great. It is not a random collection of recipes but a proper baking course that guided us from the fundamentals. Starting from fillings like jam and custard, Luis teaches us how to cook the perfect bases for our little gastronomic accomplishments. Here there is a recipe for every palate, we only had to open the book and whatever creation came up, we were only too happy to wear our aprons and start baking. We particularly liked the Butterscotch meringue tart and the traditional Empanadas. What we really liked was that at the very end of the book Luis listed few of the best shops where to find some of the harder to find ingredients. Buy your copy here a £13.60 for the hardcover and £10.79 for the Kindle edition. 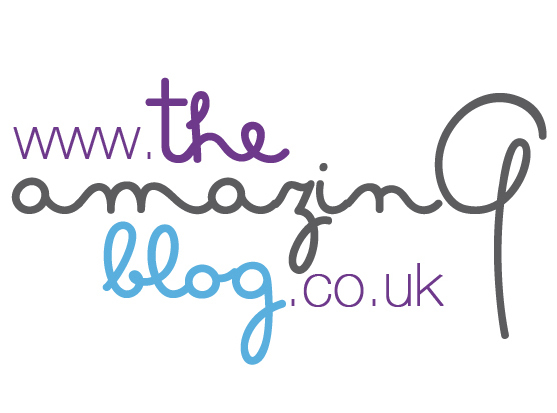 Hosting a party and need a little inspiration for canapes? Look no further as the Clink Canape Cookbook has got it covered. Behind this cookbook is a heart-warming story, as it is created by Alberto Crisci founder of Clink Charity. This charity aims to reduce re-offending of prisoners through training and rehabilitation giving them new found culinary skills. These are then put into use at the Clink Restaurants in London, Wales, Cheshire and Surrey. Sally Clarke founded her legendary Notting Hill restaurant in 1984, pioneering seasonal fine dining and British cuisine. 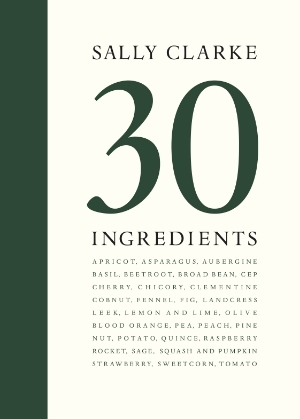 Now she celebrates it's thirty year anniversary by writing her own cookbook, 30 Ingredients. This book captures Sally’s love and passion for simple cooking. The recipes are surrounded by Sally’s favourite thirty ingredients that she loves to cook with. There are so many delicious recipes with salad of duck breast with balsamic-roasted peaches and shallots to baked tomatoes with garlic and herb crumbs, you honestly wont know where to start! For more cooking inspiration, click here to get your copy at only £19.99.